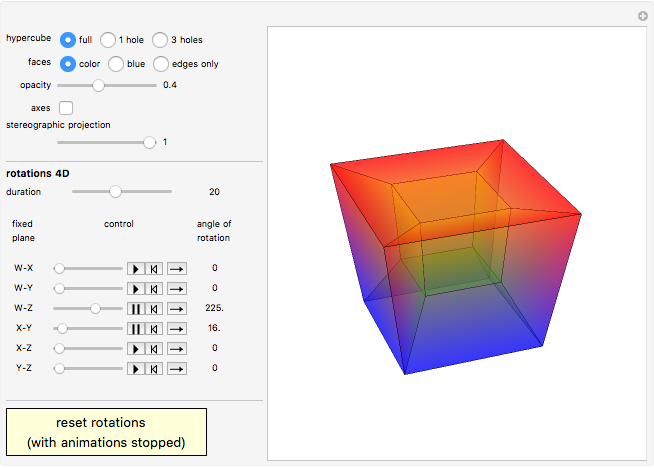 This Demonstration gives a variety of animated rotations of a hypercube in 4D projected to 3D. The axis (set of fixed points) in a 4D rotation is a plane. As a simple example, stop the animation and set all the angles to zero. 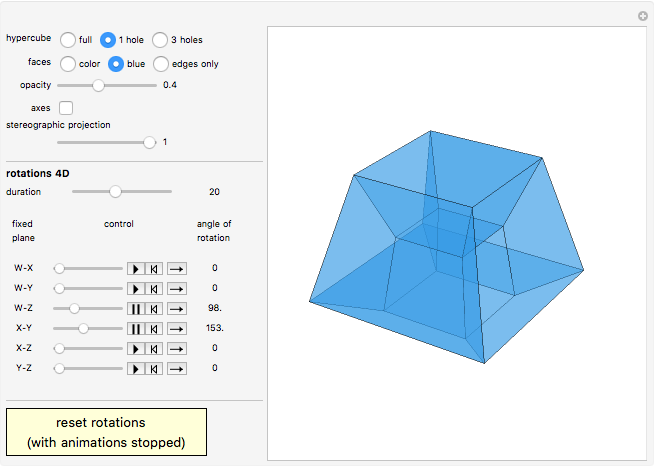 Drag the first slider; this rotates the hypercube without distortion about the - plane, which we see in 3D as a rotation about the axis. 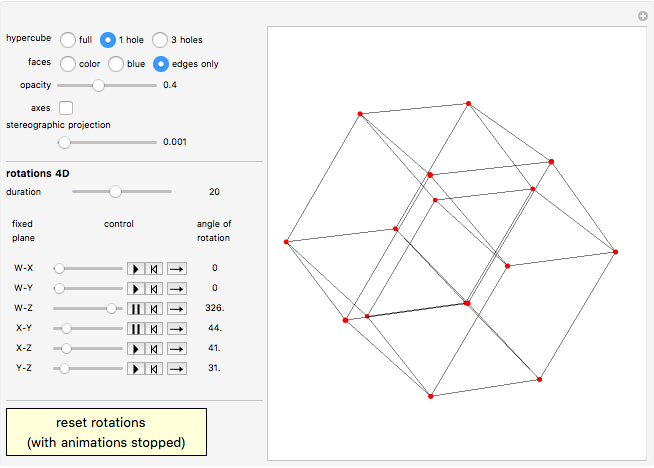 Gerard Balmens "Rotating a Hypercube in 4D"